Over the summer, I spent my vacation in Salt Lake City. During a walk through the Sugar House neighborhood, I entered one of Utah’s State Liquor Stores for the first time. Although I’ve lived and visited Salt Lake off and on for my entire life, I never really noticed the nondescript stores until after turning 21. It’s kind of an odd oversight because there was one about two blocks from my great-grandparents house (it’s now closed in a cost-cutting move that may or may not be working). 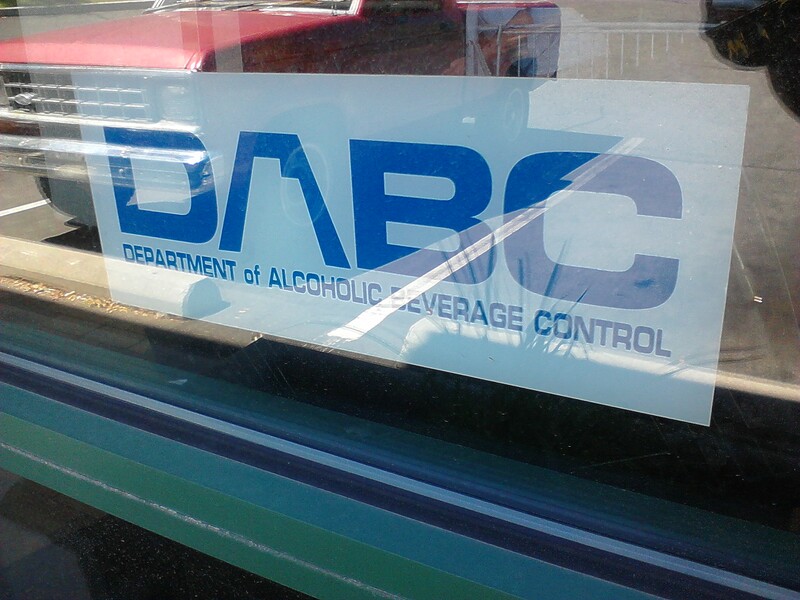 On the other hand, the state Department of Alcoholic Beverage Control says its mission is to make liquor available, but not to promote sales. Mission accomplished, based on my experience. The store’s red brick exterior is devoid of advertising and there are notices on the door saying no one under 21 allowed without a parent or guardian. I was actually looking for an old bowling alley when I found the Sugar House liquor store tucked next to the roaring interstate. I was scouting some beer for a friend so I decided to go in. Since I was looking for brews, I spent most of the time in the beer section and I was surprised by the relatively decent selection. There was a selection of Sierra Nevada (including Bigfoot!) and even the more rare Anchor Steam. I also saw the most variety of Molson outside of Canada. 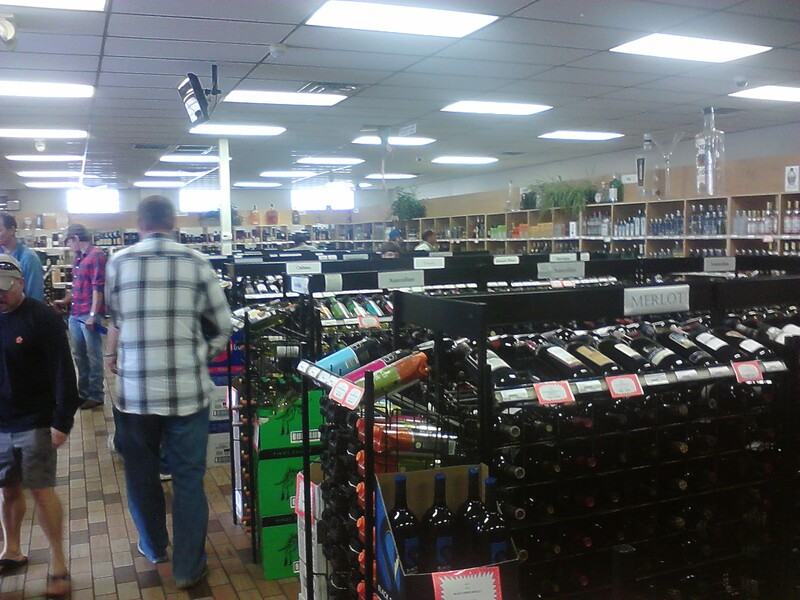 A look inside the State Liquor Store in the Sugar House neighborhood on Sept. 16, 2011. One thing I didn’t find was the specific brand of beer I was looking for. Fortunately, I later found it was widely available at many fine grocery stores, like the nearby Whole Foods or Dan’s. The prices weren’t horrible as far as I could tell, but maybe that was by design. In another quirk, beer in the store is sold on a per-bottle basis. Based on the empty six-pack cases, I guess it opens up the possibility of mixing and matching your selection. The pricing can be deceiving. A single bottle of Anchor Steam was $1.99, making a six-pack about $11.94 in Utah. That’s about $3 more than in Chico. The staff and customers also appear to be nice considering that I pestered them with questions of Salt Lake of yore — namely that pesky bowling alley. I first asked the clerk if he remembered if there was a bowling alley where a 24 Hour Fitness is now. As a relative newcomer, he didn’t know. I turned to a slightly older woman who I (perhaps wrongly) assumed she would know. She didn’t, but they were both seemed nice about my slightly off-key questions. 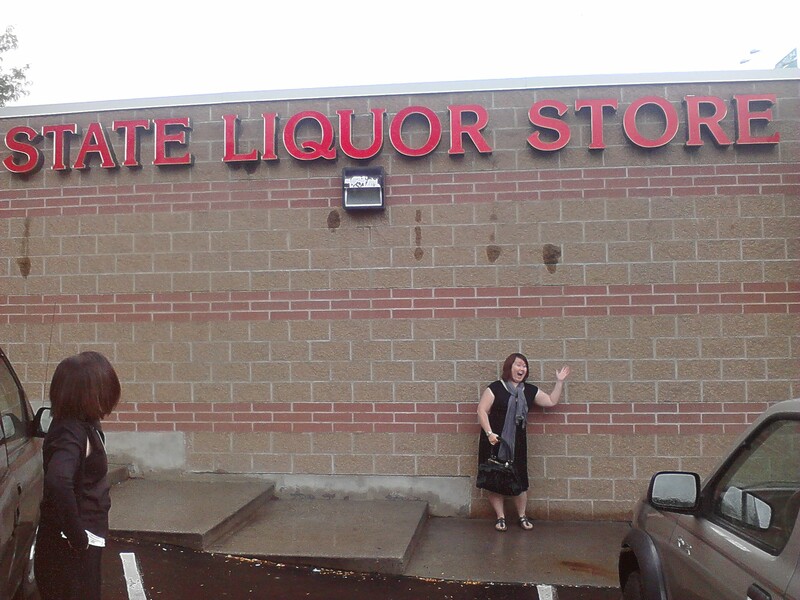 My sister poses outside the State Liquor Store during a return visit on Sept. 16. We settled on a bottle of wine and some Pimm’s liquor. My mother and sister appeared to be impressed at the selection available. In addition to Pimm’s, which I had never heard of before, there was also a wine that my sister’s friend distributes. Although I’ve lived in places where the state strictly controls the sale of alcohol, Utah’s state-owned stores are something else — almost otherworldly. In a way, going into these heavily regulated spaces reminded me of going to a bar for the first time after turning 21. We were impressed by the store’s variety, but we also joked at some aspects that seemed “off” — like an oddly constructed wireframe wine rack where a bottle tilted up for examination could slip through the frame and fall to the ground. That caused a bit of a surprise, but thankfully the bottle didn’t break. I don’t think the cashiers were very amused. Top image: Outside the state liquor store in the Sugar House neighborhood of Salt Lake City, Utah in July 2011.